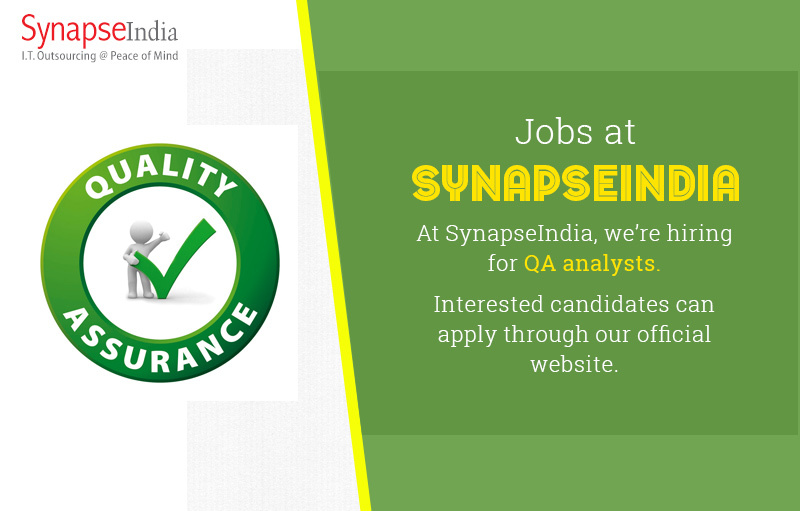 Find out various SynapseIndia jobs openings for QA specialists on our official website. Founded in years 2000, SynapseIndia has established itself as one of the most trusted web & mobile development companies in India. We are looking for talented individuals to join our team of QA & testing specialists. With a highly skilled team of more than 500 professionals, SynapseIndia has emerged as the reliable IT company in its niche industry. If you are looking for a rewarding career and exciting workplace, here is an opportunity for you to accelerate your career growth with SynapseIndia. Take a look at SynapseIndia jobs openings in QA & Testing profile on our official website and apply online.